... And We're Willing To Pay For It! Are you a current Southwoods Storage customer? If so, do you have any positive feedback to share online? If you answered yes, kindly leave your feedback on either Google Reviews or Yahoo Local Reviews and save $15 off next months storage. 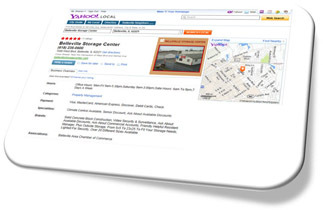 Southwoods Storage will verify your online review and comments and issue your discount immediately. It's fast, it's easy, and best of all, it's free! Participation is easy! If you have a personal Google account* or a personal Yahoo account *, you can simply log into either one of your accounts by clicking the links below. You can choose to write a review on either Google or Yahoo, or both. The links below will route you in the correct destination. Once you get there, start posting. * Google and Yahoo accounts are free and easy to create. The review must be accurately assessed, fair, and truthful. We are looking for honest feedback regarding Southwoods Storage as it relates to any and all services we are currently providing to you as a client. Perhaps you could comment about why you decided to choose Southwoods Storage to begin with. Why did you choose us? 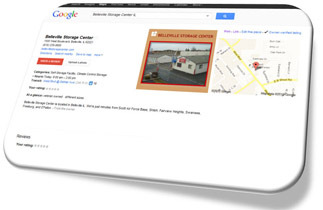 Simply call, email, or walk in to our storage facility front office and mention the fresh new review you posted online. Once Southwoods Storage has validated the review, the discount will be applied. You can print it out and mail it in, or you can bring it in too. That's it! It is easy to do, and it earns you some additional money next month!